A few weeks before I headed up to Bundaberg a girlfriend was telling us about a farm tour she’d done in the region and how much we’d love it. So you can imagine I didn’t hestiate when the opportunity came up to join Suzie Clarke on one of her Bundy Food Tours during the regions WinterFeast celebrations. Suzies relationship with the local farmers, her culinary experience and profession qualification make her the ideal host for this personal small group tour. Her business was around a year old when I was there in July 2017 and is currently running 3 tours a week, with special bookings for events such as Bastille Day. The Wednesday, Thursday and Saturday tours head off in different directions to explore farms and producers in different parts of town. The farmers on each tour are also changed up regularly based on seasonal produce and other constraints so you could easily have a completely different experience doing the tour on another date. You can book through the visitors information centre in town or direct on Suzies website. Related Article: A complete visitors guide to Bundaberg including what to see & do, and all the best cafes, restaurants and foodie spots. The tour we were on was the Hummock Farms Tour, we started off from Bargara and travelled out first to the Robertson Flower Farm. I’d actually taken some photos of sunflowers from the side of the road the day before not knowing who the farm belonged to, against the spectacular blue winters sky they were impossible to resist. At Robertson Flower Farm the manager, Katrin, talked us through the production cycle, harvesting technique and market demand fluctuations. Interestingly you’ll see a few blooms in a mature paddock destined for the flower market but when you see paddocks full of beautiful blooms in their prime they’re either being growng for seed, or the market has temporarily dropped away making harvest unprofitable. Fortunately that wasn’t the case for these beauties at the top of the page, these paddocks were just close to harvest and we caught them on the right day. 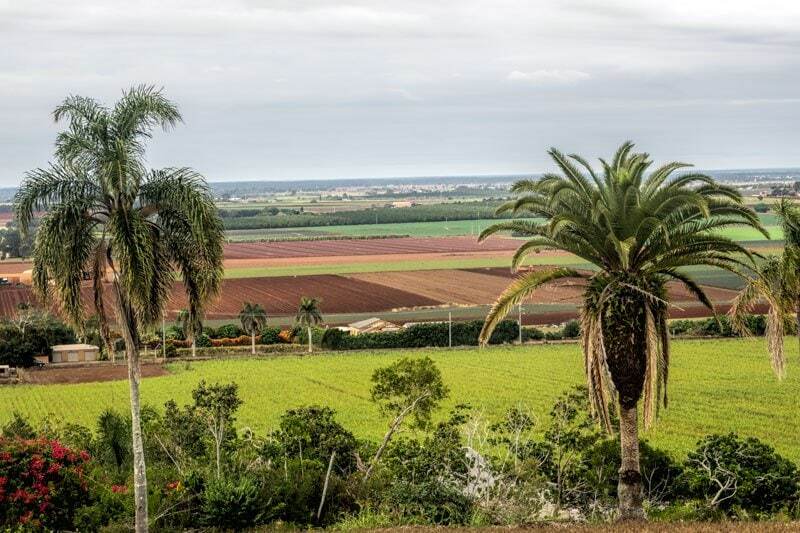 The one hill in the Bundaberg area is known as the Hummock, named in 1799 by Lieutenant Matthew Flinders. It’s a plug from an extinct volcano that’s responsible for the dramatic and productive red soil around the area. The extensive plains and this nutrient dense ground make the region a highly productive Australian food bowl. From the Hummock lookout, or even better as you fly into town, the patchwork of farms disappearing out into the distance is really dramatic. We stopped in at the farm first and met Ash along side the fig orchard. 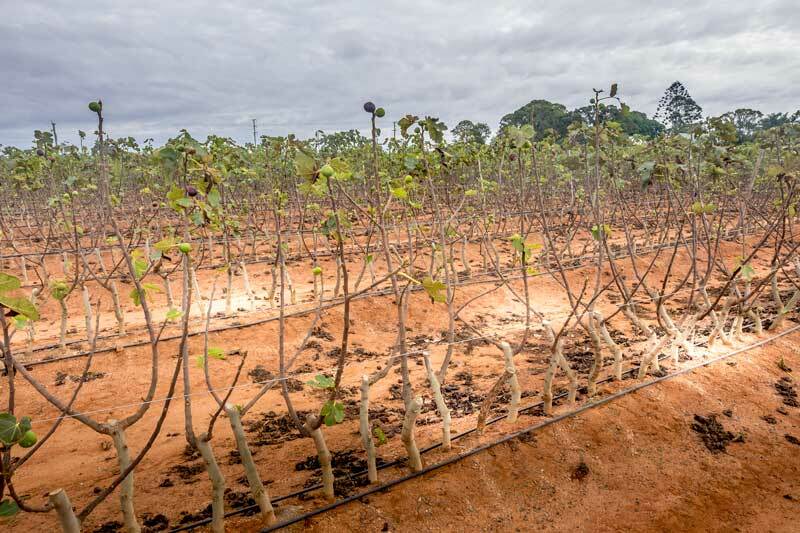 It was so interesting to see how they’re grown commercially from the canes and trained along trellis rather than the enormous trees I’m more used to seeing. They also grow vertically in enormous sheds using a hydraponic system to ensure a year around supply along with peppers and tomatoes that also grow so well in the temperature, humidity and feed controlled environment. We got a peep inside but of course these environments need to be carefully controlled to ensure bugs and diseases aren’t introduced, especially when you’re wandering around multiple different farms. The other orchard is for 3000 mature avacado trees planted in a ratio of 2 Hass to 1 Sheppard to maximise the harvest. I personally love the Sheppards both for their texture and that they don’t oxide the same as other varieties although clearly at market Hass are still the favourite of the big buyers. From the farm we headed across to the market that stocks a wide range of local produce and artisan products from the region. I managed to finally pick up a bottle of the local ‘Well Loved’ Worcestershire sauce as I’d already got to the point of regretting not picking it up at the WinterFeast markets when I first saw it. I’ve used it a few times now both added into the stock for a soup and in the sauce for my gluten free Okonomiyaki so I’m really pleased I managed to get a bottle. On each tour a locally sourced picnic is shared as a group along the way at one of the properties. 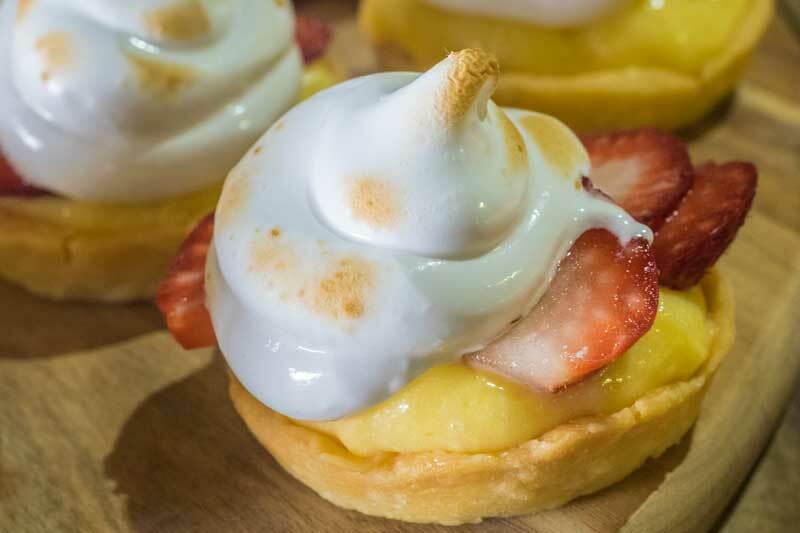 These are created by celebrated local chefs such as Mitchell from Indulge Cafe or Alex from Water Street Kitchen (read more about these local chefs and their businesses in our Foodies Guide to Bundaberg). For our tour we enjoyed morning tea prepared by Ella Jensen at Alloway Farmers Market. 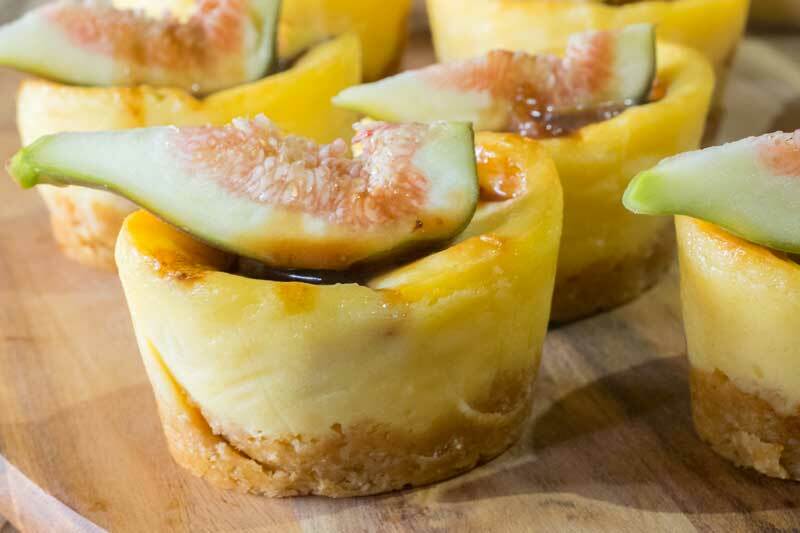 Ella’s recently return to Bundaberg and had prepared quiches with local eggs and vegetables, lemon curd tarts with the best glossy meringue I’ve seen in a long time and another tart topped with juicy fresh figs from the farm. Our next stop was at Tinaberries, a boutique local producer who supplies strawberries and passionfruit around Australia. As we wandered around the perfectly aligned mounds of white polythene topped with ripening strawberries we learned the difference between the three types grown on the property, Festival, Fortuna and Camarosa. 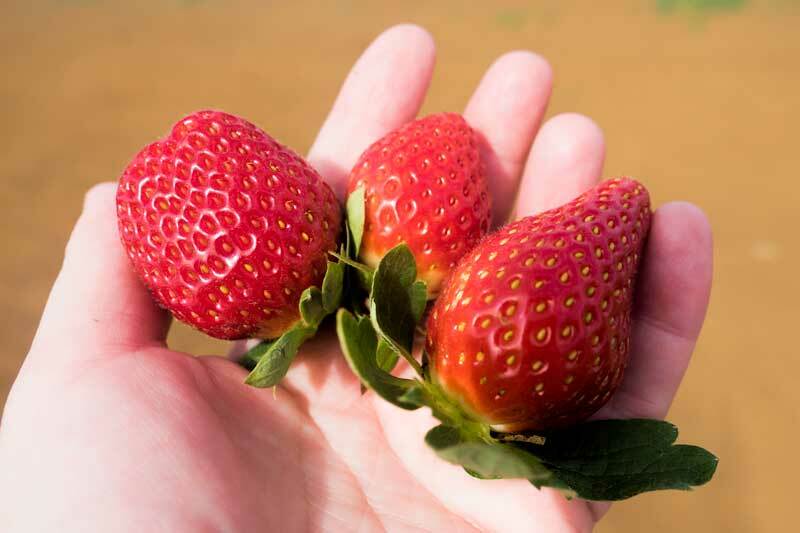 Now I love a good strawberry and would happily eat any and all put in front of me but I have to admit when you taste them consectutively there is a difference and for me the Camarosa were pretty special although interestingly we didn’t all agree on the favourite. The farm is also planted out in substantial passionfruit vines, both Misty Gems and the more familiar (to me anyway) Panamas. Tina showed us an essential skill if you work around this delicious fruit, how to crack them neatly in half with just your hands and how to eat them relatively mess free without a spoon. I think the tour was worth it for this gem of information alone! Our final stop of the day was at Windhum Farms where we met Linda and had a look around the farm and packaging plant. 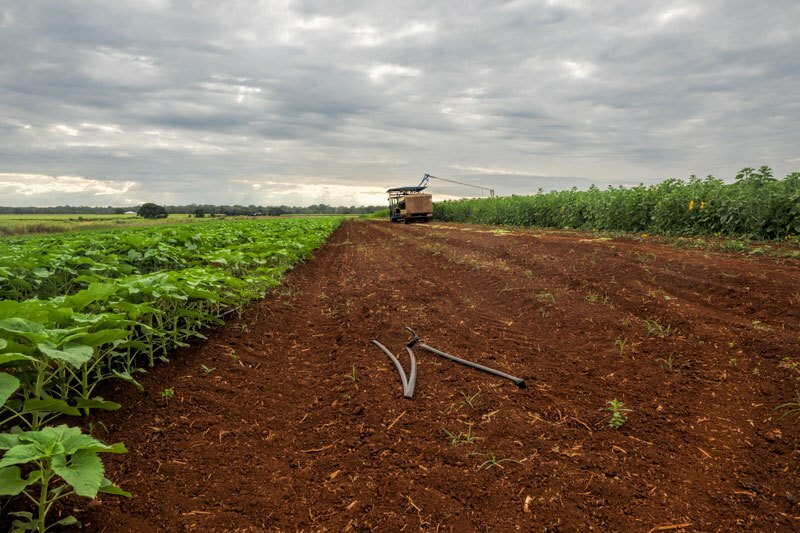 The family are 4th generation farmers in Bundaberg and their crop, sweet potatoes, is extremely important to the regions economy with Bundaberg producing 80% of Australia’s sweet potatoes with a year round harvest. 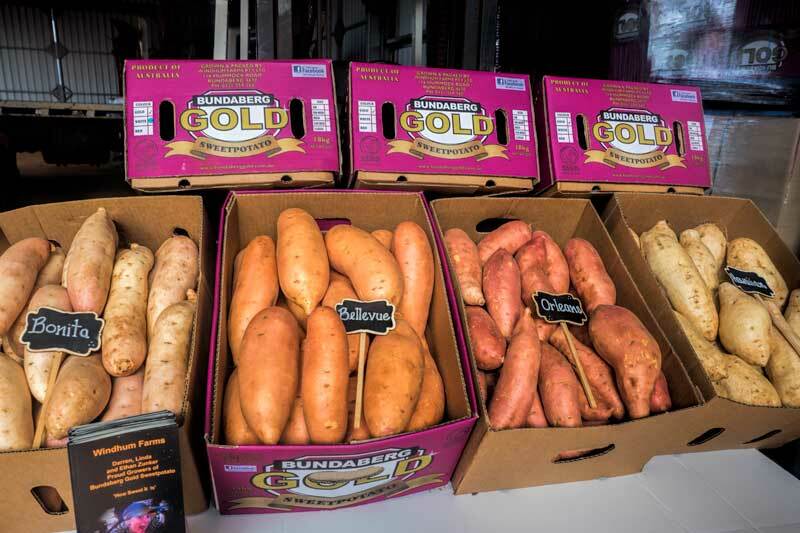 They grow the golden Bellevue and red Orleans which we are most familiar within our markets but also the Bonita which is creamy coloured and a good healthier alternative to white potatoes and a new one to me that I will now be on the search for, the Hawaiian. 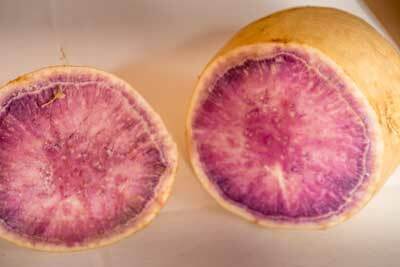 You can see it freshly cut below with a gorgeous purple hue. I think it could be a challenge to cook with and do justice to that beautiful colouring as it does oxidise quickly but I’m keen to try. If you’re looking to incorporate sweet potatoes into your diet in new ways head across to their Facebook page at Bundaberg Gold for some ideas, I saw this week that they had even posted a recipe for a caramel and sweet potato cheesecake and it looks AMAZING! What I appreciated most about the tour was the opportunity to talk as a small group or one on one with the local farmers. They were all open and honest, farming is not always smooth sailing but they clearly loved what they do and were rightly proud of their regions production and culinary achievements. 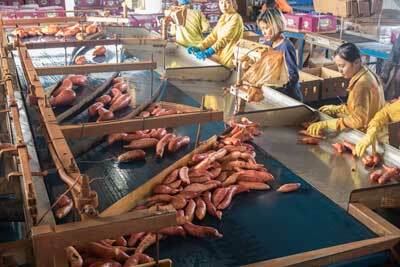 With Bundaberg producing around 25% of Australia’s fresh produce there is a lot to be proud of. The presentations and conversations weren’t scripted and staged, they were authentic and informative which I’m sure makes both the farmers and those of us on the tour a lot more comfortable. We know we are talking to the real people behind these farms and brands, not a marketing spokesperson which I appreciated. Suzie is also open and genuine and clearly maintains a close relationship with the farmers of the region. Her local and food knowledge position her well for providing a value add experience that you couldn’t get directly. If you are a foodie with an interest in where your produce comes from or someone with an interest in the Eat Local (Locavore) movement I’d highly recommend getting on a tour when you’re in the area. 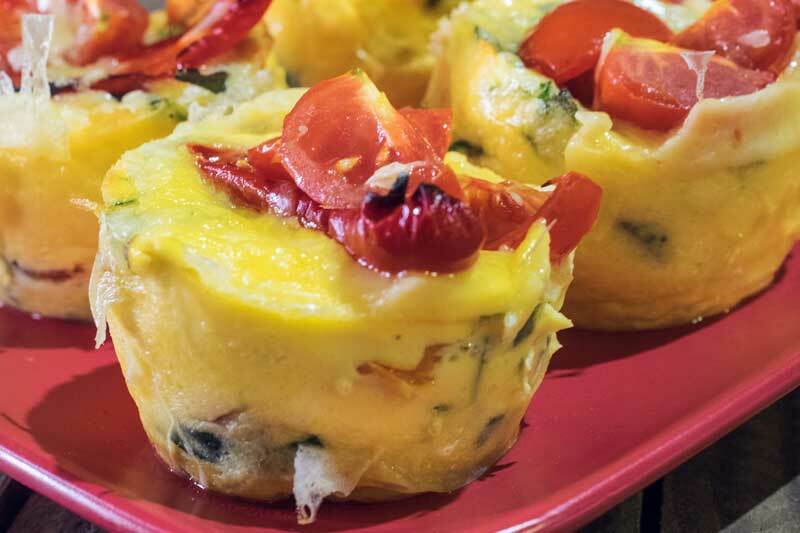 Those quiches and tarts look so good Toni! I can taste each through your photo. I am a huge fan of both, even when each isn’t as fresh, because of the texture and flavors present. Toss in fresh fare from the farm to the table and you have a pure winner.